If climate change is a global issue, then peatlands are too. Peatlands, natural areas of the accumulated decayed plant material known as peat, have huge importance as carbon sinks, making them key in limiting global warming. Given this corresponding significance for climate targets, preserving intact peatland and restoring degraded areas are increasingly being recognized as international issues. 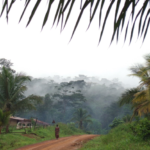 A new International Tropical Peatland Center (ITPC) is aiming to become a one-stop shop for countries that encompass tropical peatlands, providing research and knowledge to enable informed decisions on sustainable management of the areas. Its interim secretariat is to be based in Bogor, Indonesia, ahead of the formation of the center itself in the coming year. 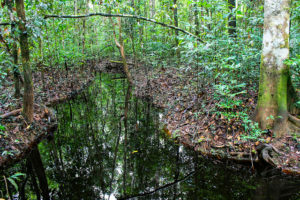 “Tropical peatlands are found in more than 80 countries, yet they remain among the least understood and monitored ecosystems in the world, storing 30-40% of global soil carbon deposits, on only 3% of the world’s land surface,” Indonesia’s Minister of Environment and Forestry, Siti Nurbaya Bakar, said during the center’s launch event on Oct. 30, adding that it was crucial to preserve them from destruction and degradation given their importance in mitigating climate change. Representatives of the Republic of the Congo and the Democratic Republic of the Congo (DRC) – both home to extensive areas of tropical peatland – joined together with Indonesia at the event to push forward a sustainable peatland agenda. Throughout the day’s discussions, several speakers from government, international organizations and research institutions – including the ITPC’s coordinating partners the Indonesian Environment and Forestry Ministry, the Center for International Forestry Research (CIFOR), UN Environment Programme, and the Food and Agriculture of the United Nations – addressed the importance of international collaboration and mutual learning, particularly between countries in the global South. Speakers also raised capacity strengthening at all levels, as well as community engagement and alternative livelihoods among people currently living on peatland, as key points in implementing sustainable peatland management. “What we have now in Indonesia is a result of a decision that was taken 40 years ago to open the peatlands for industrial exploitation,” Nasi added. Separately, Minister Siti spoke in more detail about Indonesia’s peatland management experience, for which it has enjoyed international recognition in recent years. According to Minister Siti, the country’s experience in managing its over 15 million hectares of peatlands began early last century, when local tribes such as those in Kalimantan managed peatlands in a sustainable manner. Following that was the period of extensive peatland utilization beginning in the 1970s, which saw timber plantations, large-scale agriculture and draining that degraded significant areas. The present was a “corrective era”, Minister Siti said. Since severe fires and haze in 2015 that focused the world’s gaze on the region’s peatlands, Indonesia has enacted a peatland restoration agency, strengthened a moratorium on new licenses, improved primary forest, and overseen strict enforcement of its policies. It is now also instrumental in the establishment of the ITPC. 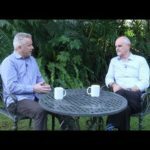 It is this experience that could benefit countries such as the Republic of the Congo and the DRC, following the discovery in recent years of the world’s biggest single area of peatland in the Congo Basin. Following a panel discussion on best practices in Indonesian peatlands, including lessons learned, opportunities and challenges, CIFOR Senior Scientist Daniel Murdiyarso – whose work also forms part of FTA – moderated the day’s final panel on international collaboration and experience in peatlands. During the session, in a pertinent description of community engagement, CIFOR researcher Dede Rohadi outlined the Haze-Free Sustainable Livelihoods project, which is also part of CIFOR’s work on peatlands that links to FTA. The project itself is designed by the International Fund for Agricultural Development (IFAD), and complements a bigger project on the sustainable management of peatland ecosystems in Indonesia, led by the Environment and Forestry Ministry. A major objective of Haze-Free Sustainable Livelihoods, an action-research project in Riau province, is to find a way to involve communities in peat conservation, Rohadi said. This would help to improve community members’ livelihoods while also remaining in line with peatland conservation strategies. 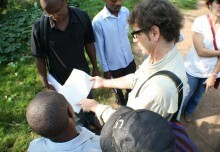 Communities are an important actor in peatland management, he emphasized, and policies or interventions could fail if the constraints and objectives of communities were ignored. Researchers and decisionmakers must understand community behavior when designing interventions and writing regulations, he added. In Riau, some communities historically used fire for clearing land, but this did not result in wildfire because at that time the peatland was still wet. 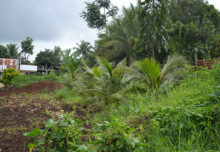 Coconut, betel nut and pineapple are among possible alternatives to the oil palm that is often associated with peatland draining, if they can be made adequately financially attractive. 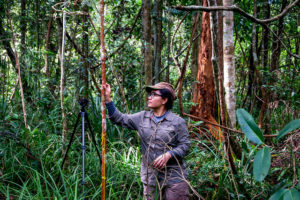 In addition to this action research, CIFOR is also carrying out biophysical research in five of the seven Indonesian provinces currently targeted for restoration efforts, Murdiyarso said, adding that a special issue on peatland challenges containing 12 papers was set to be published soon. In the past, Indonesia’s peatlands were described as marginal lands, Murdiyarso said. However, they are now considered to be an essential ecosystem. “Now there is a lot of hope when we are talking about peatlands and sustainable development of peatlands,” he added. From local community livelihoods to global emissions targets, the launch of the ITPC looks set to place peatlands at the forefront of climate discussions. By Hannah Maddison-Harris, FTA Communication and Editorial Coordinator.